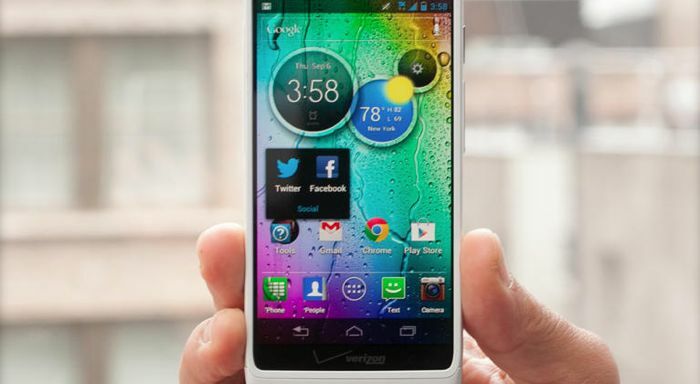 Verizon wireless has launched a new Android smartphone, the Motorola Luge, which is basically the Motorola Droid RAZR M with a new name. Verizon are now marketing the Motorola Luge as a large screen device which is powered by 4G LTE, the handset is available for $199.99 on Verizon’s prepaid plan, which means you do not have to sign up to a lengthy contract. The Motorola Luge comes with a 4.3 inch qHD display with a resolution of 540 x 960 pixels, the handset is equipped with a dual core 1.5GHz processor and it also comes with 1GB of RAM. Other specifications on the Motorola Luge include 8GB of built in storage, and Android 4.4.2 KitKat, the handset also comes with front and rear facing cameras. On the front of the device is an 0.3 megapixel camera for video calls, on the back of the handset is an 8 megapixel camera for photos and video. You can find out more information about the Motorola Luge over at Verizon Wireless, the device is available as of now.